Lost In The Warp: Summer Hiatus is Over - Back at it! Summer Hiatus is Over - Back at it! Hey all - Back in the trenches after an awesome summer off with my family! I didn't accomplish a tonne of work this summer but have a few things to show for it that I will roll out over the next few weeks. 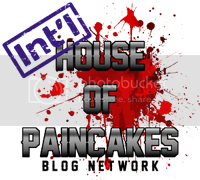 I have also secured some amazing new articles from a few friends in the painting community to share with y'all! Next up for me is the Sword and Brush competition! This amazing annual show in Toronto, Canada will return Saturday (September 10 2016)! I had an amazing time last year (and won a few awards to boot!) and while I don't have nearly as much to show off this time around I still am looking forward to being there! The quality of entries is top notch and the variety of subjects was really interesting! Top prize last year went to an old friend of LITW - the incredible Mathieu Fontaine. I hope to see many friends there again this year. 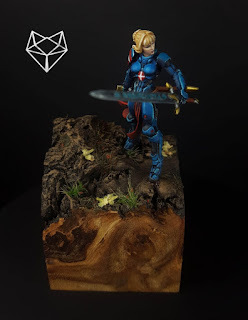 Next week I will post the build pics of my entry for Sword and Brush - a crazy little piece to be sure. In the meantime I will leave you with these pics of a piece by Jillian Walker of foxtail studios - also a friend of LITW. She is a commission artist who also enjoys competition. 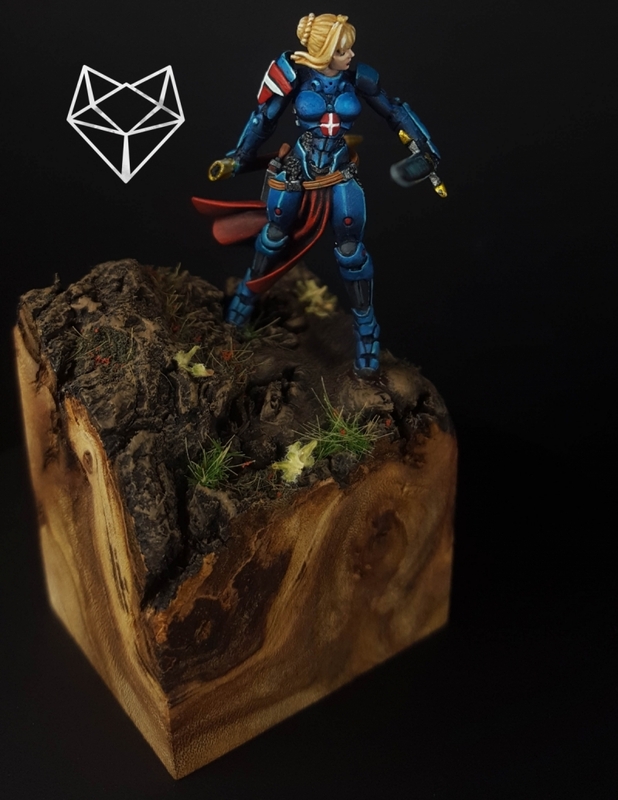 This piece is a little of both - it is the Joan of Arc figure from Infinity - it was painted to compete with a fellow judge at an upcoming competition and is also for sale following the event. Cool stuff! 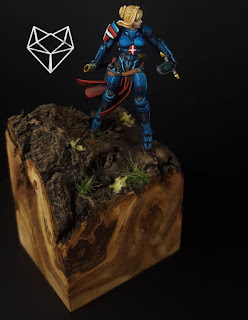 If you want more info on the piece (or any other commission) contact Jillian through her putty and paint page or by checking out Jillian Foxtail Miniatures on Facebook. Next week - Metal and Mayhem at the Sword and Brush!